As noted below, Horns, Hogs, and Nixon Coming hasn't been out of print since its 2002 publication and for one period even was out from two different publishers at the same time. It has been disillusioning to note how frequently others have borrowed (and that's the nice way to put it) from Horns, Hogs, and Nixon Coming and utilized both the extensive and revelatory research for the book and subsequent follow-up columns and stories about the book's figures in later years without citing. 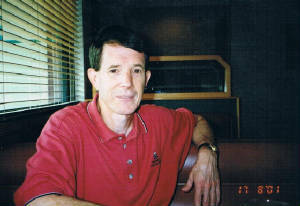 A total of 65 were interviewed for the book, incuding many key figures who have since passed away. As the 50th anniversary approaches, please don't simply rewrite or lift. That's grouchy and even a bit arrogant, but the fact is, this has happened over and over and I anticipate it happening more in the 50th-anniversary year. I ask the public and journalists to call out those who simply rewrite Horns, Hogs, and Nixon Coming. It sold out, now is out of print, and is considered a collectable. 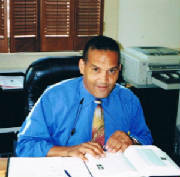 Taylor Trade obtained the paperback rights and published its edition in 2004. It has remained in print ever since. A Simon and Schuster paperback edition was released February 16, 2016. On December 6, 1969, the Texas Longhorns and Arkansas Razorbacks met in what many consider the Game of the Century. 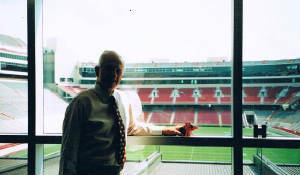 In the centennial season of college football, both teams were undefeated; both featured devastating and innovative offenses; both boasted cerebral, stingy defenses; and both were coached by superior tacticians and stirring motivators, Texas's Darrell Royal and Arkansas's Frank Broyles. On that day in Fayetteville, the poll-leading Horns and second-ranked Hogs battled for the Southwest Conference title -- and President Nixon was coming to present his own national championship plaque to the winners. Even if it had been just a game, it would still have been memorable today. The bitter rivals played a game for the ages before a frenzied, hog-callin' crowd that included not only an enthralled President Nixon -- a noted football fan -- but also Texas congressman George Bush. And the game turned, improbably, on an outrageously daring fourth-down pass. But it wasn't just a game, because nothing was so simple in December 1969. 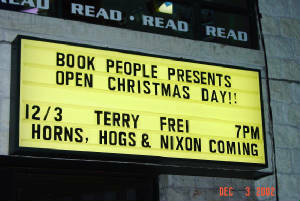 In Horns, Hogs, & Nixon Coming, Terry Frei deftly weaves the social, political, and athletic trends together for an unforgettable look at one of the landmark college sporting events of all time. The week leading up to the showdown saw black student groups at Arkansas, still marginalized and targets of virulent abuse, protesting and seeking to end the use of the song "Dixie" to celebrate Razorback touchdowns; students were determined to rush the field during the game if the band struck up the tune. As the United States remained mired in the Vietnam War, sign-wielding demonstrators (including war veterans) took up their positions outside the stadium -- in full view of the president. That same week, Rhodes Scholar Bill Clinton penned a letter to the head of the ROTC program at the University of Arkansas, thanking the colonel for shielding him from induction into the military earlier in the year. Finally, this game was the last major sporting event that featured two exclusively white teams. 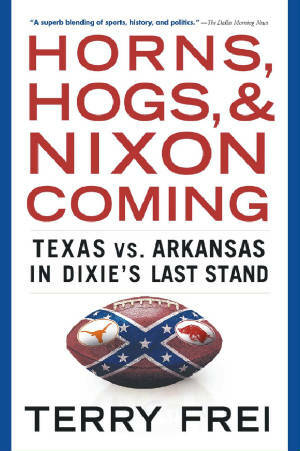 Slowly, inevitably, integration would come to the end zones and hash marks of the South, and though no one knew it at the time, the Texas vs. Arkansas clash truly was Dixie's Last Stand. Drawing from comprehensive research and interviews with coaches, players, protesters, professors, and politicians, Frei stitches together an intimate, electric narrative about two great teams -- including Texas safety Freddie Steinmark, who was displaying monumental courage just to make it onto the field -- facing off in the waning days of the era they defined. Gripping, nimble, and clear-eyed, Horns, Hogs, & Nixon Coming is the final word on the last of how it was. 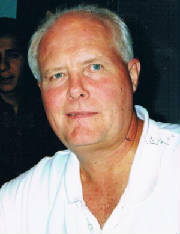 "Frei went to Wheat Ridge High School, which produced not only (Freddie) Steinmark, but also Texas guard Bobby Mitchell, whose brother was killed in Vietnam. In part because his father then was the head football coach at the University of Oregon, Frei possesses the football expertise, an uncanny ability to buttonhook diverse personal anecdotes together and appreciation for history to best tell this remarkable tale." 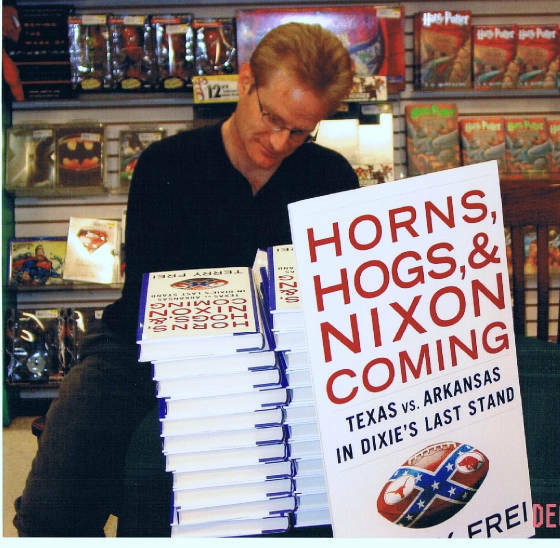 "Everyone knows that football today is a far cry from what it was in the days of leather helmets and dropkicks, but it takes a book like Terry Frei's 'Horns, Hogs, and Nixon Coming' to show how much the game has changed in just the last three decades. Frei does so by chronicling what might have been the final game of the God-Family-Football era, before shoe companies, superagents and TV networks turned the muddy old gridiron into a multigazillion-dollar business." 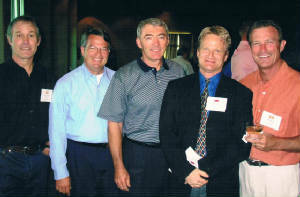 "Some of us codgers on the scene thought we knew all facets of The Great Shootout. 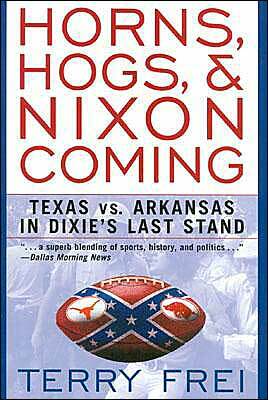 But now, 33 years after that climatic Arkansas-Texas game, comes a most intriguing account on whys and wherefores and backgrounds and personality quirks, warts and all, and political implications (Vietnam protests) and whatever. (That climatic week just happened to be the time when Bill Clinton got his ROTC draft deferment from an UofArkansas official, whose daughter was dating a Razorback player, etc.) Title is 'Horns, Hogs and Nixon Coming' and it's by Terry Frei, who must have worn out a dozen tape recorders in the process." "It was a bit like stumbling upon a family history as written by a distant cousin . . . But much to the dismay of our most cherished prejudice, an outsider, a furriner, a Coloradan for gosh sakes, has seen things we couldn't. Like a Tocquevillian sportswriter in a new world, Terry Frei does the unexpected, if not the impossible: He makes 'thatdamngame'--and all the cultural, political, and social issues swirling around it like so much red-and-white confetti--seem new again, relevant again." "The great sports books eventually aren't about the game or the scoreboard result, but about the characters involved -- on the field, in the stands, outside the stadium, around the country -- and the times, (and) appeal to more than just the sports fan. Frei's account of an important moment of Arkansas and Texas sports history is great because of that and can mean something to the average readers off in Oregon or Connecticut." "Frei's often humorous telling is much more than a rehash of the game. . . (It) also serves as a larger history of the social and political climate surrounding the competition. (The book) is a delightful, well-researched chronicle of a turbulent era." "In some spots, a reader may laugh out loud. There also may be some tears, especially in regard to courageous Texas defensive back Freddie Steinmark, who six days after playing in the Big Shootout had his left leg amputated because of a cancerous bone tumor and died in 1971. . .
"Frei does a masterful job of weaving in the historical significance of the turbulent times, including Vietnam protests, the military draft lottery and the civil rights movement that were so much a part of campus life in that era. It's political football at its best." Terry Frei with Bill Clinton in the White House in 1977. Clinton was in England when the game was played, but that was the week he wrote what would turn out to be his notorious letter to Colonel Holmes, the head of the Arkansas ROTC program. 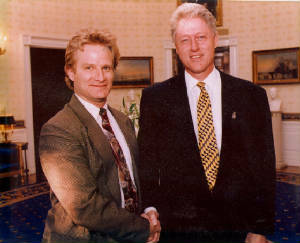 Clinton had drawn a high number in the draft lottery on December 1, and his angst-filled letter to Holmes about pulling out of his commitment to take advanced ROTC in exchange for Holmes' earlier help in quashing his induction notice was released and was an issue in the 1992 presidential campaign. At the time, Colonel Holmes did not speak with the media beyond issuing an affidavit. 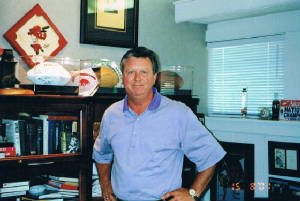 However, Holmes did speak with Terry Frei in 2001 -- in part because Arkansas star tailback Bill Burnett was dating his daughter in 1969, and later became his son-in-law. Over thirty years later, Holmes still was angry. Clinton apparently believes he was treated fairly in HHNC. (After all, his desire to avoid serving in Vietnam was not unique, and it was a "bipartisan" phenomenon.) In his autobiography, My Life, he writes of sending his letter to Holmes. Then he discusses renting a short-wave radio in England to be able to listen to the game. Clinton wrote: "We had a few friends over who thought we had lost our minds as we whooped and hollered through a football game so exciting it was billed as the Game of the Century. For a few hours, we were innocent again, totally caught up in the contest. The game and its cultural contexts have been beautifully chronicled by Terry Frei in his book Horns, Hogs and Nixon Coming." 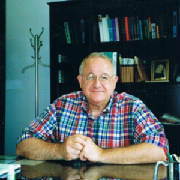 After Holmes died in 2005, Pulitzer Prize-winning editorial writer Paul Greenberg of the Arkansas Democrat-Gazette, no Clinton fan, quoted Frei's passages on Holmes and also praised Horns, Hogs, and Nixon Coming as "one of the better - and most readable — books of social history published in recent years." 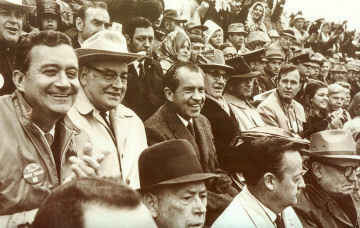 President Richard Nixon in the Razorback Stadium stands at the Big Shootout. 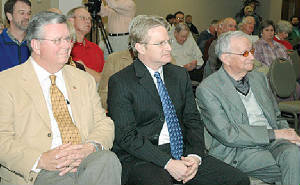 At left in his row are Arkansas Congressman John Paul Hammerschmidt, also a decorated World War II pilot; and Arkansas Governor Winthrop Rockefeller. To the right of Nixon are Arkansas senators John McClellan and J. William Fulbright, a Nixon nemesis. Fulbright, one of the Senate's leading anti-Vietnam War voices, had been a football star, student body president and also the university president at Arkansas before going into politics. Next to him is a very young-looking Texas Congressman, George Bush, who was (and still is) one of Hammerschmidt's close friends. If you look real hard in the row behind them, you can spot the top of Henry Kissinger's head and his glasses. Both Hammerschmidt and Bush contributed their memories of that day for Horns, Hogs, and Nixon Coming. HHNC discussed the anti-war protest going on on the hill beyond the stadium, led by Vietnam veteran and Arkansas student Don Donner, but noted that ABC ignored it.The politicians couldn't miss it. As HHNC also disclosed, the traveling party didn't know it, but Arkansas' black students and sympathizers were prepared to storm and occupy the field if the Arkansas band played the song "Dixie," up to then the unofficial athletic anthem at the school. 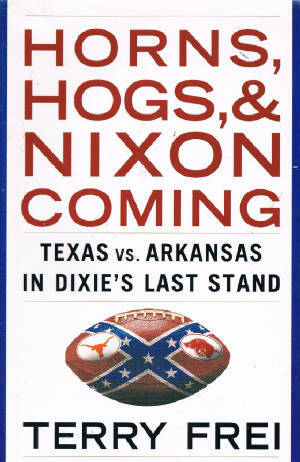 So there was much in the air besides football that day, and the book's subtitle -- ...Dixie's Last Stand -- could and should be interpreted several ways, both involving the region and Southern sports being at a crossroads, and more simply, the symbolic stand over the song itself. 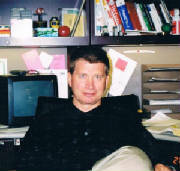 Terry Frei is about to deliver the John Paul Hammerschmidt Lecture at North Arkansas College on Dec. 6, 2007, the 38th anniversary of the Big Shootout. 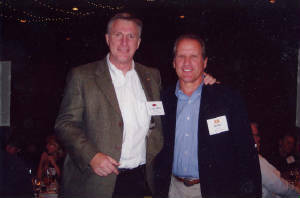 At left is Arkansas receiver Chuck Dicus, then the head of the Razorback Foundation. Hammerschmidt, the former Congressman and WWII pilot who attended the game with the Nixon party and his good friend, George Bush, is at right. 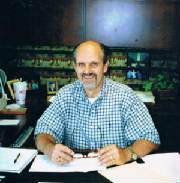 He defeated Bill Clinton in Clinton's first try at public office. 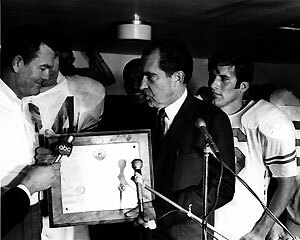 Post-game: President Nixon presents his national championship plaque to Darrell Royal. James Street is at the right. 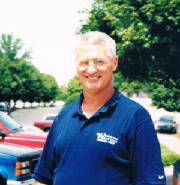 At the 2004 joint reunion of the Longhorns and Razorbacks, where Terry Frei was the neutral keynote speaker. The Longview Boys: Arkansas defensive tackle Terry Don Phillips and Texas quarterback James Street. 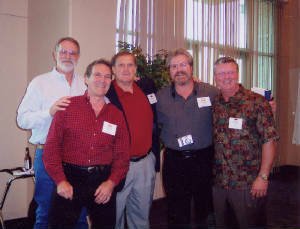 Texas tackle Bob McKay, Texas fullback Steve Worster, Arkansas defensive end Bruce James, Texas tackle Bobby Wuensch, Arkansas receiver Chuck Dicus. In Houston's M.D. Anderson Hospital on Dec. 12, 1969, Denver native and Texas Longhorns safety Freddie Joe Steinmark woke up after bone cancer surgery. His mother, Gloria, was there. On Friday, as she sat in the dining room of her Aurora home, she recalled the conversation. "First thing he said to me was, 'Did they take ...,"' Gloria said. There was no need to finish the question. Surgeons had removed Freddie Joe's cancer-riddled left leg. "I said, 'Yes, Freddie,"' Gloria said. That was Freddie Joe. After coming out of the fog and hearing that he would live the rest of his life without his left leg, his first words were tongue-in-cheek, but made a serious point. Steinmark, a Denver Post Gold Helmet winner as a star athlete at Wheat Ridge High School, would fight. 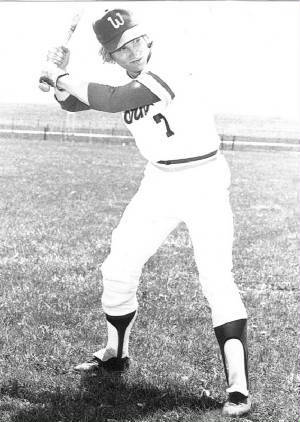 The operation came only six days after he played for the top-rated Longhorns in their celebrated Dec. 6, 1969, showdown with No. 2 Arkansas, the game at Razorback Stadium attended by President Richard Nixon and Texas Congressman George Herbert Walker Bush, and passionately followed on short-wave radio in England by Rhodes Scholar and Arkansas fan Bill Clinton. In my 2002 book "Horns, Hogs, and Nixon Coming," I called Steinmark's play that day the most courageous effort ever in a football game. I have gotten no arguments since. Freddie's leg had been aching most of the season. He played on a leg being eaten up by cancer, and doctors later told the Longhorns it was amazing the bone hadn't snapped. Finally, after the game at Arkansas, he had it checked. 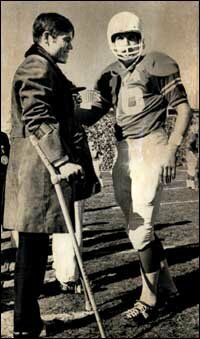 Three weeks after surgery, on Jan. 1, 1970, the day Texas clinched its last bona fide national championship with a 21-17 victory over Notre Dame in the Cotton Bowl, Steinmark was on the sideline among his teammates. His younger brother, Sammy, also was with him. His parents, Denver police officer Freddie Gene and Gloria, and two sisters were in the Cotton Bowl stands. On crutches and one leg, wearing a football shoe on his right foot, Freddie watched proudly, defiantly, and, significant given his plight, faithfully. The Longhorns presented their plucky safety with a game ball. "He was so elated," Gloria recalled. "I really think they wanted to win for Freddie, too." I could nod at that, because I have spoken with dozens of his former Longhorns teammates, including 1969 starting Texas guard Bobby Mitchell, the Dallas dentist who also went to Wheat Ridge. It happened again and again: Reminiscing former football players laughed and smiled through their memories of their younger days, and when the subject turned to Steinmark, a junior during that 1969 season, the words caught in their throats. The Longhorns knew how to have a good time. While they did, Freddie was studying. Or in church. "It makes you cry to think about it now," said 1969 Texas tackle Bob McKay, who in more casual conversation might be the funniest man on the planet. "He was the greatest kid in the world." Gloria Steinmark and her family - including Sammy and daughters Paula Kay "P.K." Stevinson and Gloria Gene "GiGi" Kunz, who all live in the Denver area - hope the Longhorns end up with another national championship Wednesday. "Absolutely," Gloria said. "You can't get over those things. ... Oh, I'll cry. My tears come easy." The modern Longhorns still touch a Steinmark plaque on their way from the dressing room to the field in Austin. 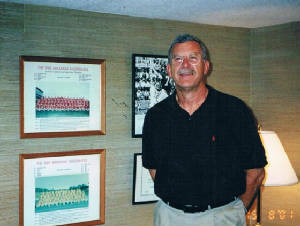 The stadium scoreboard is named after Steinmark. They are memorials. Freddie Joe died June 6, 1971. He was 22. Gloria, widowed in 2000, still has her son's Cotton Bowl game ball. Freddie Gene labeled it, to keep it straight from all the other memorabilia from his son's life. 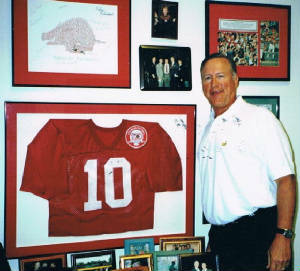 Among the portraits of Freddie displayed in the Steinmark home are one painted by former Texas and NFL star Tommy MacDonald and another drawn from the picture of Freddie on the Cotton Bowl sideline used on the cover of "I Play to Win," Steinmark's inspiring 1971 book. Gloria said it still can be painful to talk about Freddie Joe. "That scar just never goes away," she said. But does he live on? "Oh, absolutely," she said. She laughed and added, "I talk to him all the time." Then she thought a little more about the son who never called her "Ma" or "Mom" - or anything but "Mother." The Steinmarks are fervent Catholics. 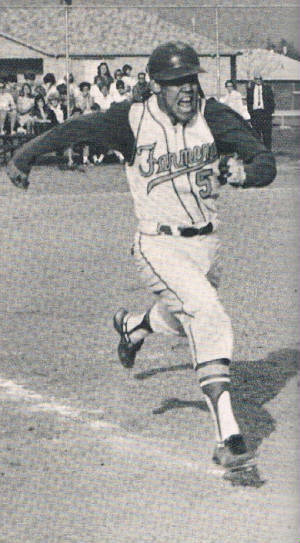 Freddie Gene and Gloria Marchetti met in the hallways of Denver's North High, when Freddie Gene, the celebrated star high school athlete in the Denver of another era, mischievously asked the shy sophomore girl, "Don't you ever speak? ", and then gave her his letter sweater to wear. Faith was the hallmark in Gloria's and Freddie Gene's household, and it was Freddie Joe's. "I used to think it, but I know not to say 'why' anymore," Gloria said. "I think he was so special, God wanted him." 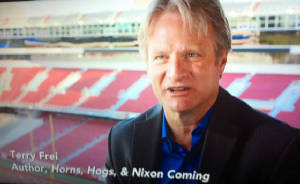 One of the figures in Horns, Hogs, and Nixon Coming was Texas defensive tackle Greg Ploetz. 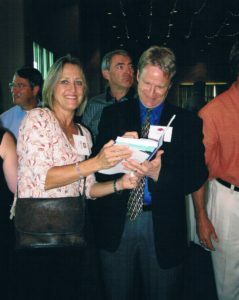 An art teacher and coach, Greg began displaying signs of brain injury and dementia and his wife, Deb, at one point brought him to Colorado to be able to use marijuana based products in his treatment. He died in 2015 and Deb sued the NCAA in a potentially landmark case. 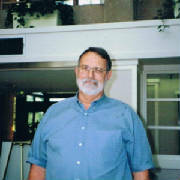 Terry Frei wrrote many pieces about Ploetz's struggle and death, and the antipathy fof football that led Deb to file the lawsuit.